Shakthi FM Tamil Live Online . Listen over 100 Tamil FM Radio Stations Live online . It was Launched on November 20, 1998 . 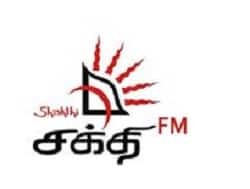 Shakthi FM broadcasts music, live news, interactive interviews and a host of other programme formats that are innovations in Tamil radio in Sri Lanka. One of the Tamil radio channel with island-wide coverage, including the Jaffna Peninsula and most parts of the North Eastern Province of Sri Lanka .